What Happened With Query "Linkdomain" Yahoo? Today, Friday 23 July 2010 at around 6:30 AM (GMT +7), I dabble linkdomain keyword or query in Yahoo Search. This query is used to see how much a particular website links in Yahoo. This is usually useful to calculate the visibility in Yahoo for a website. It turns out when I tried this query. How come there was something strange. 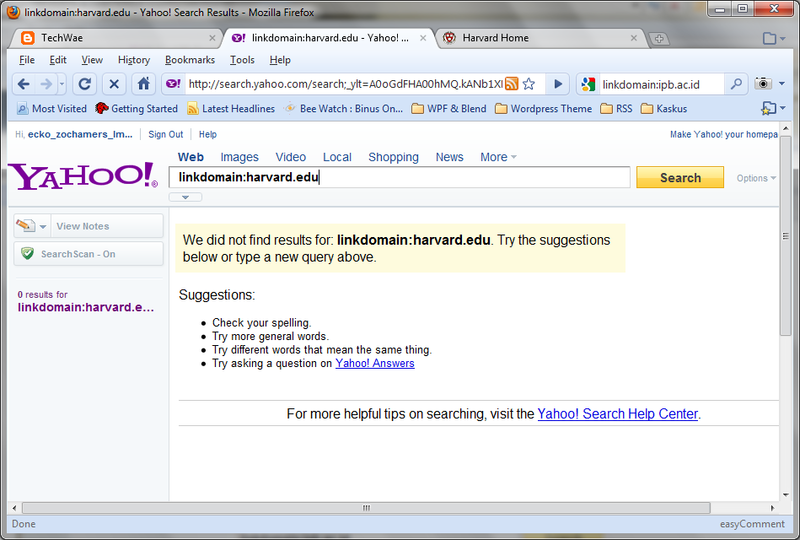 When I type the query "linkdomain: ipb.ac.id" www.yahoo.com results in just three, while before more than 120,000 ... I even became fanciful thinking on this website. Then I check to another website and the results are also similar and even worse results, "None of the results are out." When is Yahoo going to restore the function linkdomain same again? 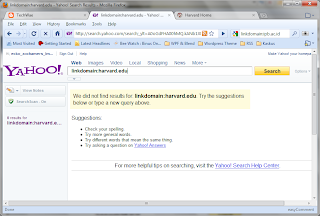 Does Yahoo have replaced it with another query? It could be when I post this article linkdomain function can be used again. try to delete all cookies and cache in your browser.